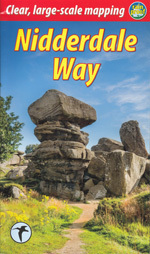 Here we include guides that cover larger areas of Wales than just a single county. 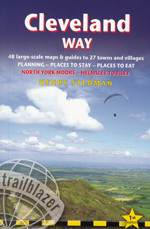 Guides covering all the mountains of Wales are included. 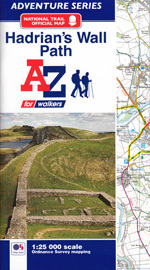 If you are looking for a general walking guide for all of Wales you will find it listed here. 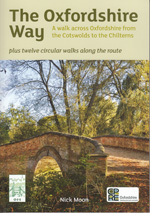 An island of stunning landscapes, unspoilt coastlines and picturesque towns and villages ideal for exploring on foot. 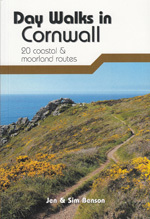 Much of the coastline is a designated Area of Outstanding Natural Beauty (AONB). 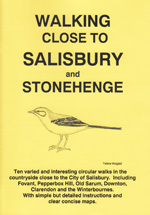 During a day's walking you can experience towering cliffs, sandy beaches, majestic woodlands, mountains, marshes and grassland. Glorious and peaceful walking includes the Vale of Clwyd, the Clwydian Range, Llangollen and the Dee Valley and the Berwyn Mountains. The stunning unsurpassed walking of the Snowdonia National Park, the spectacular coastal landscape of the Lleyn Peninsula and the delightful forest parks and some of the treats of exploring this magnificent area. The vast county of Powy is really the heart of Wales, including much of the Brecon Beacons National Park and the Cambrian Mountains and the Marches. Glorious river valleys, forests, and characterful historic towns and castles are here to be discovered. The Ceredigion coast boasts spectacular and varied scenery and the coast path, now part of the Wales Coast Path, provides sublime walking. Inland you will find peaceful rolling countryside, river valleys and the remote Cambrian Mountains. The stunning rugged coastal landscape of Pembrokeshire justly deserves to be Britain's only coastal National Park. With golden sands backed by towering cliffs teeming with wildlife and covered in a riot of flowers, especially in spring, the coastal path provides spectacular walking. Carmarthenshire can lay claim to some of the most spectacular and diverse landscapes in south west Wales. The western end of the Brecon Beacons National Park, including Black Mountain, provide dramatic mountain walking. Monmouthshire is a beautiful county nestled between the eastern Brecon Beacons National Park and the Wye Valley Area of Outstanding Natural Beauty. Dramatic abbeys and castles provide a sense of history. Here you will find guides covering the South Wales Valleys, Cardiff, the Vale of Glamorgan, Swansea and the Gower Peninsula. Also included are: Blaenau Gwent, Bridgend, Caerphilly, Merthyr Tydfil, Neath Port Talbot, Newport, Rhondda Cynon Taff, Torfaen.